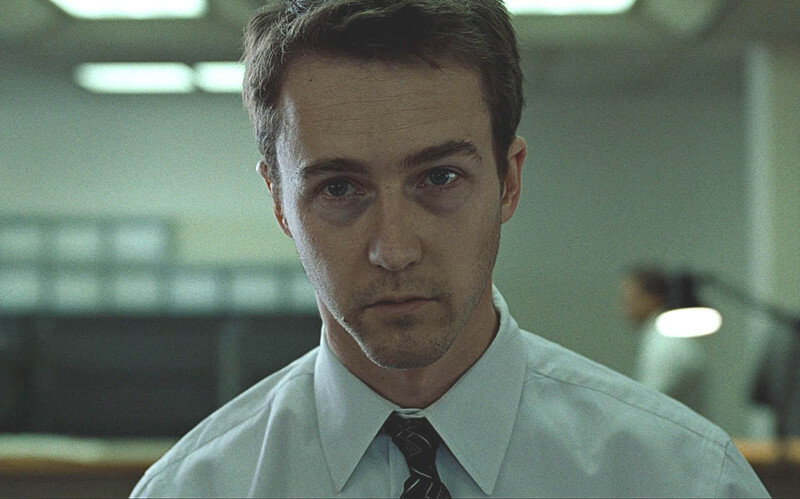 Context: Immediately after the opening credits conclude, we see and hear the character of “The Narrator” (Edward Norton) speak the line in voiceover. He has a gun stuck in his mouth and is sweating profusely due to the intensity of the situation. An off-screen voice says there are only three minutes left and asks if the narrator would like to say anything as a result. Why is it great: Trying not to give away the big surprise in the film is difficult in trying to explain this one. The beginning of the film is also the end as the film is told in flashback. The line makes complete sense within the story of the film and foreshadows events you come to discover much later on. Tyler Durden (Brad Pitt) takes over the story as the main character and you immediately begin to love to hate him. Context: A large flag of the United States encompasses the entire screen. Slowly, from below, General George S. Patton Jr. (George C. Scott) is revealed as he walks on stage. He is in full military uniform complete with helmet, gun, boots and jewelry. His accolades and awards are visible on his uniform. You can hear a bugle playing distantly in the background. He salutes his audience before beginning his motivational speech. Why is it great: One can only imagine actual George Patton in real life. His words immediately grab you, the audience, and you start to think you are there in the same room with him as he paces back and forth delivering his diatribe. The opening line and ensuing remarks really give insight into the complex, brash, unforgiving and formidable personality he had and the following character study you are about to witness. Context: A movie theater screen is displayed complete with curtain. The curtain opens slowly just enough to reveal the title card “JUNE 1938”. A comic book called “Action Comics” is shown its pages turned slowly as the lines are read. (Action Comics #1 was the first appearance of Superman in June, 1938). After the monologue is finished, the comic dissolves to a shot of the Daily Planet newspaper tower. The camera floats past the building to the night sky. 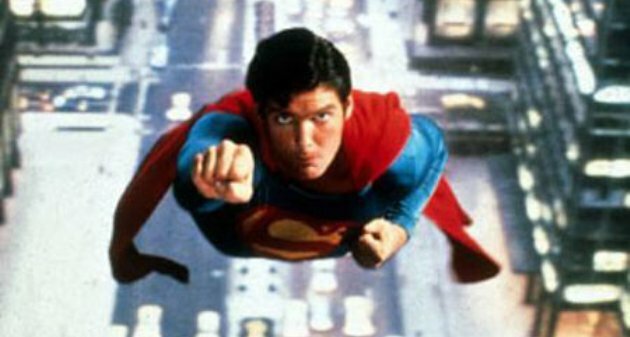 Why is it great: Director Richard Donner’s version of “Superman” in 1978 was visionary and really ushered in the “modern” era of comic book movies. This current era is obviously now in full swing and will probably never end during my lifetime. Trying to keep with the comic book theme was brilliant, unique and a great way to open the film. The fact that a child recites the opening lines is perfectly appropriate since traditionally comic books are mainly created for their eyes. Not sure if that still holds true today. Context: Not sure this one needs explanation. 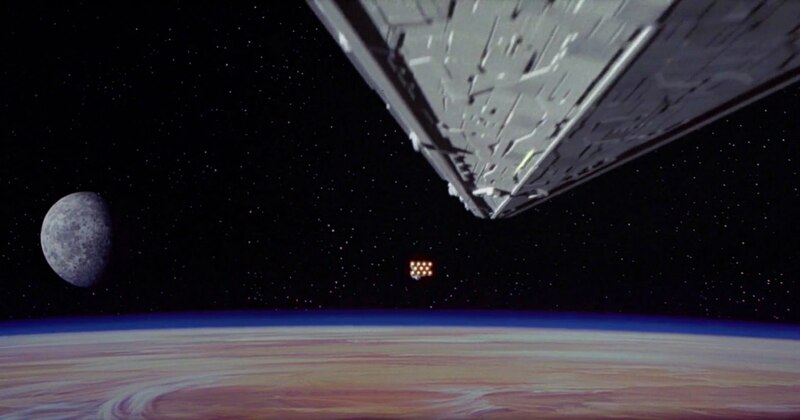 The first words anyone ever saw from “Star Wars Episode IV: A New Hope” when it premiered in theatres on May 25th, 1977 reminds us all parts of the universe may not be at the same level in terms of technology. It was uncertain whether “The Force Awakens” would continue this tradition since the property is now owned by Disney. Luckily, JJ kept it in there. Why is it great: Talk about a quick mood setter? Those words do the trick for sure. The opening crawl in the “Star Wars” films has become not only a tradition, but the most famous of its kind in film history. It is meant to tell us we are not alone in the universe and there are vast civilizations which exist in which we are not aware. The words definitely made the galaxy feel a little bigger! It will be interesting to see if they continue to use the line on every subsequent “Star Wars” film yet to be released including the films not included in specific “episodes”. Can you picture “Star Wars Episode 27: Weequay’s Lament”? 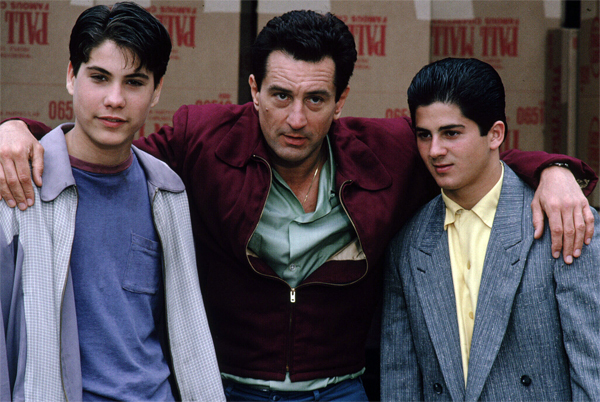 Context: Henry Hill (Ray Liotta) starts his life doing odd jobs for the local mob bosses before making his own fortune as an important figure in organized crime along with pals Jimmy Conway (Robert De Niro) and Tommy Devito (Joe Pesci). The first scene of the film shows the three men becoming alerted to some noise coming from the truck of their car. They pull over to investigate. They discover their guest is still alive and decide quickly to finish the job. Why is it great: Although technically there are a few spoken lines of dialogue before this one, they are minor and incidental, and Liotta’s first line of narration actually begins the film. Hill’s exclamation he always wanted to be a gangster is important as you see immediately his motivation and career goals begin early in his life. He knows exactly what he wants to do with it. Any tasks performed or jobs done in adolescence are only to further him up the gang hierarchy and chain of command. He enjoys being part of the group and learns the ropes quickly as a result. Context: One of the greatest opening lines in film history, the first scene in the first film tells us so much about the Corleone’s, specifically the role of the “Godfather”. Associates are continually professing their loyalty, and asking for “favors” to rescue them from any issues they have in their lives. In this case, a story was being told of an injustice against a young girl after she was taken out and beaten by two men and left for dead. Her jaw was wired shut and could barely speak. The perpetrators of this crime went free, so there was no justice. Why is it great: The camera starts tight and does a long, slow retreat finally revealing the audience to whom he is speaking as Vito Corleone. 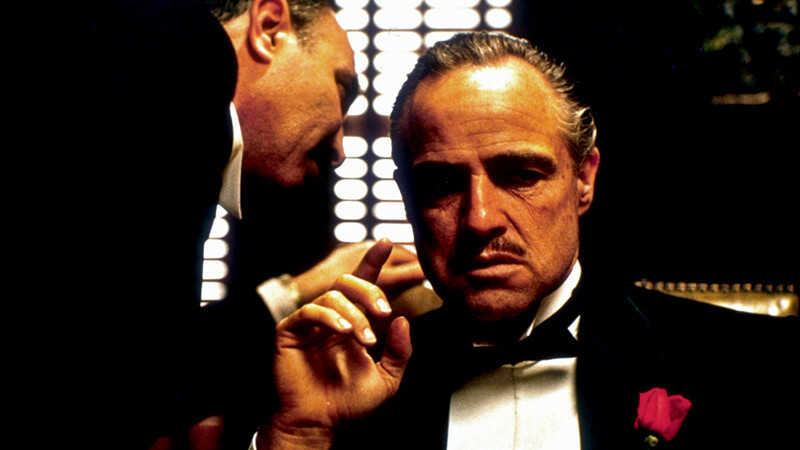 The line and scene works as mastery by cinematographer Gordon Willis and director Francis Ford Coppola of the long, slow camera pullback as well as precise lighting. It is the perfect way to capture the actor just reciting dialogue and us as the audience being very interested in the climax of the scene. Context: We begin with a shot of a “No Trespassing” sign on a chain-link fence. We ascend slowly and view various outdoor structures outside the secluded neglected Kane mansion set atop a hill. It doesn’t look like it has been inhabited for some time. We peer inside and see a close-up of a man’s mustached face as he utters this most famous line in his last dying breath. 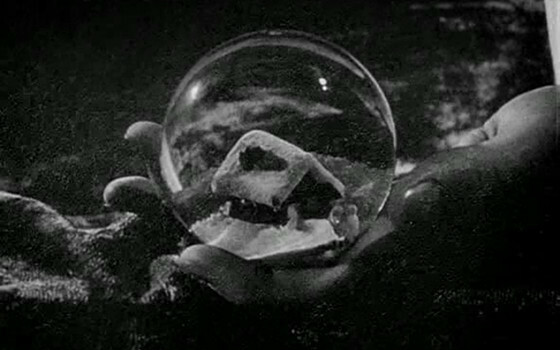 Immediately, the snow globe he was holding drops down several steps to the floor and shatters. A nurse enters seeming she heard the noise and comes to check on her patient, but it is too late. Why is it great: The line is the greatest for many reasons. Not only because “Citizen Kane” is considered one of the greatest films of all time, but also because the entire point and plot of the film hinge on getting to know the deceased character of Charles Foster Kane (Orson Welles) by those who remain to try and figure out the meaning of the mysterious word. 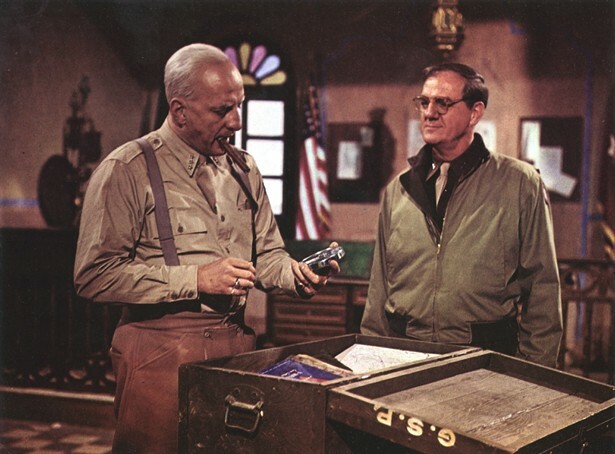 Much effort is given to finding and interviewing several key members of Kane’s former life to try and figure out what “Rosebud” is all about. The journey is just as good the 20th time you watch as the first time. Surely the sign of a classic. Author Bio: Andy Kubica is a life-long cinephile. Having spend time as a video store manager, movie theater manager and the first DVD buyer for a former rental chain he now spends every waking moment reducing his film “bucket list”.